Tea is said to be the most consumed aromatic beverage in the world. Drinking tea is a habit like no other. Many of us need it first thing in the morning and revere it for what it does to our levels of energy and alertness. Sure enough, there is a range of amazing health benefits associated with drinking tea. For every study that raises the red flag about potential risks of drinking too much tea or low-quality tea, there are ten or more studies that tout the good things. For example, there are the antioxidant properties of tea, its ability to lower one’s risk for some types of cancer, and so on. Despite health scare, drinking moderate amounts of tea is generally safe for most people. Drinking large amounts of black tea, or more than four or five cups a day, may cause health problems. That’s mostly because of caffeine-related side effects. So far as quality and safety aspects are concerned, adulteration is admittedly a serious issue. Also, are we drinking tea that has pesticides levels exceeding the standards prescribed by national regulations? What are the major quality parameters that one should look for in tea? These aspects are at the centre of the latest Consumer Voice report, which compares the performances of 14 leading brands of black tea. Read on to find out which brand had pesticide residues beyond the acceptable safety limit. We tested the 14 brands of black tea on quality and safety parameters at an NABL- accredited laboratory. 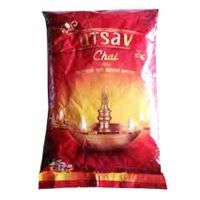 The test programme was mainly based on Food Safety & Standards Regulations and relevant Indian Standard IS: 3633:2003, as well as other related standards applicable to this product. The key parameters for which the 14 brands were tested included total flavonoids, theaflavins, crude fibre, pesticide residues (the tests covered seven pesticides), heavy metals (lead and copper), iron filings, water-soluble ash, total ash, water extract and added colouring matter. Black, green and white tea all originate from the Camellia sinensis plant. Their differences come from the methods by which they are processed. The buds and young leaves are steamed and dried to produce white tea. Green tea is made from mature leaves that go through the same process as white tea. When the leaves are rolled or broken and allowed to oxidise or ferment, the result is black tea. 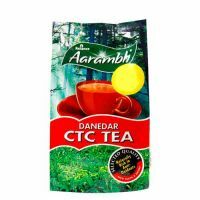 Broadly, tea is classified as orthodox or CTC (crush-tear-curl). Orthodox teas are whole-leaf teas manufactured using the traditional process of making tea, which involves plucking, withering, rolling, oxidation/fermentation and drying. 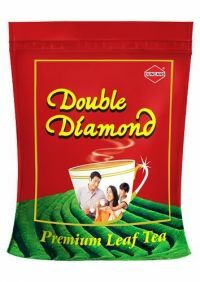 CTC teas produce a granular leaf particle. 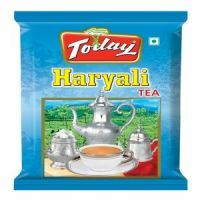 It produces a very strong flavour, quickly infusing tea that is often boiled or used in tea bags. As stated earlier, both green and black teas are made from the leaves of the same tea bush. Whether these tea leaves end up green or black depends on how they are processed. 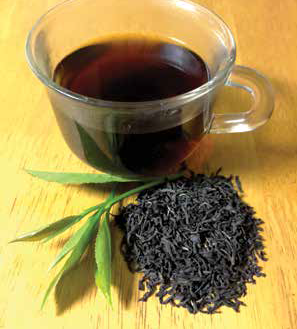 Black tea, on the other hand, is made from leaves that are heavily oxidized. Because the enzymes within the leaves are allowed to fully oxidize the finished leaves appear dark and brownish in color. A high level of oxidation also converts the polyphenols in the tea (catechins) into oxidase compounds, most notably theaflavins and thearubigins. Theaflavins provide black tea with its briskness and sharp taste while thearubigins give body and impart a dark reddish-brown color typically associated with black teas. 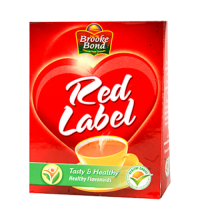 Based on the overall test findings, Brooke Bond Red Label is the top performer. 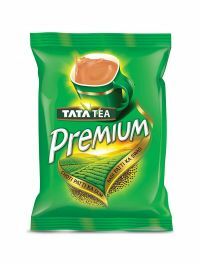 Next in ranking are Brooke Bond Taj Mahal, Trusted Value Premium CTC Leaf, Tata Premium and Reliance Aarambh. 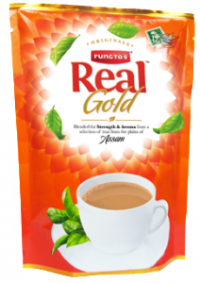 The value-for-money brand is Trusted Value Premium CTC Leaf. 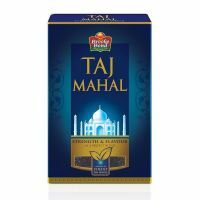 Total flavonoids were found highest in Brooke Bond Red Label, while theaflavins were found highest in Marvel. Flavonoids and theaflavins are known for their antioxidant properties. All brands except Rungta’s were found to meet the requirements of FSS Regulations and Indian Standard. Pesticides, namely quinalphos, were found to be above the prescribed limits in Rungta’s –this means it is not safe for consumption. Heavy metals – specifically lead and copper – were within the acceptable limit in all the brands. Acid-insoluble ash and total ash were within the permissible limit. Iron filings, aflatoxins and colouring matter were not detected in any of the brands. You can see list of our CV Comparative Test Black Tea below, perform Side-by-Side comparison. If you need further help, do have a look at Conzumr Guides and Tips. Alternatively you can view all Black tea to choose your own favourites. Black, green and white tea all originate from the Camellia sinensis plant. Their differences come from the methods by which they are processed. The buds and young leaves are steamed and dried to produce white tea. Green tea is made from mature leaves that go through the same process as white tea. When the leaves are rolled or broken and allowed to oxidise or ferment, the result is black tea. 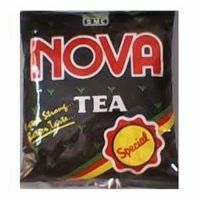 Broadly, tea is classified as orthodox or CTC (crush-tear-curl). Orthodox teas are whole-leaf teas manufactured using the traditional process of making tea, which involves plucking, withering, rolling, oxidation/fermentation and drying. CTC teas produce a granular leaf particle. 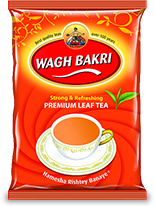 It produces a very strong flavour, quickly infusing tea that is often boiled or used in tea bags.